Ritec International are delighted to announce that they have reached the final of the G15 Commercial Project of the Year Award. Ritec have been recognised for treating an impressive 14,700m2 of glass aboard the P&O Cruises’ new flagship, the MV Britannia. The £473m ship was launched by Her Majesty the Queen in Southampton on 10 March 2015, who praised its sophistication and use of glass. It is the largest and latest of many cruise ships to have been treated with the award-winning ClearShield Eco-System™ which upgrades glass to ClearShield Eco-Glass™, providing protection from sea spray and other corrosive elements and making it ‘non-stick’ and easy-clean. The System has provided enormous benefits for P&O Cruises. Glass costs in the future will be less, as the glass can be easily cleaned and renovated instead of being replaced. Reduced cleaning and maintenance during the life-cycle of the glass will also be achieved – saving money and resources. Importantly the ship’s safety will be heightened as the bridge’s glass will be protected while at sea, especially in inclement weather, and anti-microbial properties in the glass will help combat bacteria on-board. Ritec’s application team travelled to the Fincantieri shipyard in Monfalcone, Italy to treat the Ship’s glass which included all the windows, sliding doors, cabin glass and other exterior glass which all needs to maintain a clean, sparkling appearance and optimal vision for greater viewing pleasure. Ritec were awarded this prestigious job because they have been, over the years, an extremely reliable and trusted partner for P&O Cruises, who chose the tried and trusted ClearShield Eco-System™ over other glass surface treatments due to its proven track record for over 30 years in the field for the marine sector. This is not the company’s first Royal seal of approval either, Ritec also recently treated the Royal Princess Cruise liner and previously won the Prince of Wales Award for Innovation. “Ritec are delighted to have reached the final of the G15 Commercial Project of the Year Award. We are proud to have firmly established Ritec Marine Services as a key partner of P&O Cruises for glass surface treatments. We continue to grow our business with this prestigious customer and this magnificent project continues to reinforce the relationship between the two companies. The G15 Awards event will be held on 27 November 2015 at the London Hilton on Park Lane. 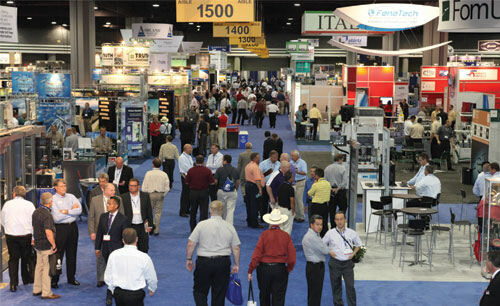 ClearShield Technologies will be launching their new ‘One Stop Shop’ for durable ‘non-stick’ surface renovation, protection and maintenance at Glassbuild America this year. Offering customers solutions specifically tailored to their problems, the ‘One Stop Shop’ utilises parent company’s Ritec International’s total systems including the award-winning new ClearShield Eco-System™ for glass and the Ritecoat System™ for metal and painted surfaces. Thanks to the new ‘One Stop Shop’ concept, glass processors, fabricators and installers are able to renovate, protect and maintain existing glass on-site, giving them unique opportunities to add new revenue streams. At the heart of the concept is the ‘new and proven’ ClearShield Eco-System™ that transforms new or old glass into a higher value product with low-maintenance performance, resulting in diversification and differentiation for businesses. Customers do not have to stock an additional type of glass either; Ritec’s simple added-value package enables unprotected glass to be upgraded into ClearShield Eco-Glass™ in the factory. Based on over 30 years of successful field experience, ClearShield Technologies – a subsidiary of Ritec International Ltd – invite visitors to Booth 2816 where they can see for themselves how the System will work for them. For more information on ClearShield Technologies LLC and Ritec International Ltd, visit www.ritec.co.uk or email info@ritec.co.uk. 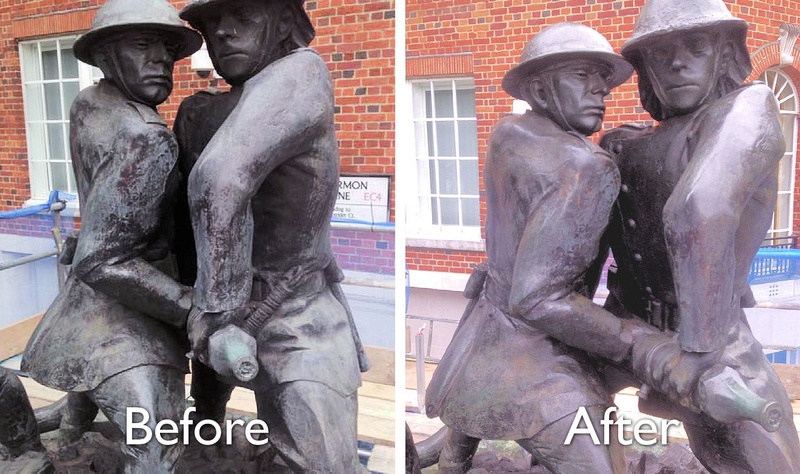 Ritec recently worked on restoring the bronze Fire Fighters Memorial which is located at a symbolic site on the south side of St. Paul’s Cathedral in London. Ritec specialists Bob Wallman and Martin Burkett were bought in to restore the memorial and bring it back to its original state. The Firefighters Memorial, depicting a Fire Officer and two Firemen, cast in bronze engaged in firefighting duties, was originally called ‘Blitz’ and was dedicated to the men and women of the Fire Service who lost their lives as a result of their duties during World War II. Her Majesty, the late Queen Elizabeth The Queen Mother, unveiled this memorial on 4 May 1991. In the year 2000 HM Government, responding to a growing feeling that a memorial to peacetime Firefighters was long overdue, invited the Trust to consider combining such a memorial with our existing World War II ‘Blitz’ memorial. The Firefighters Memorial is located close to St Paul’s Cathedral, which is often symbolically represented as a famous building which stood in defiance of all of the fires burning and general destruction around it, caused by the Blitz on London.